This semi-detached home in Stalybridge, Cheshire had a full front of house respray. 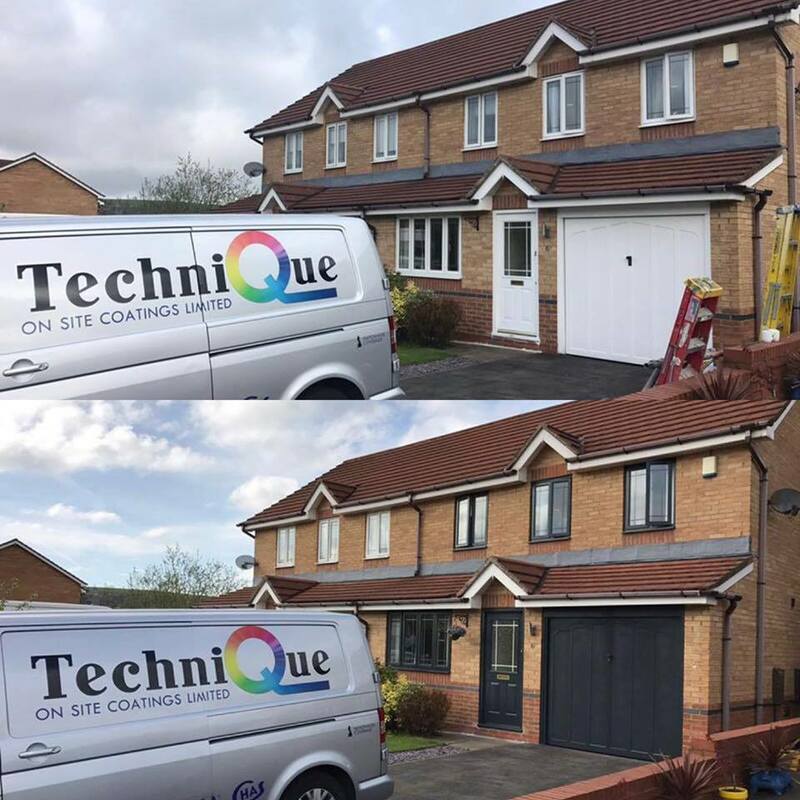 Going from white to Anthracite Grey, our spray team transformed the look of this whole house in just one day. 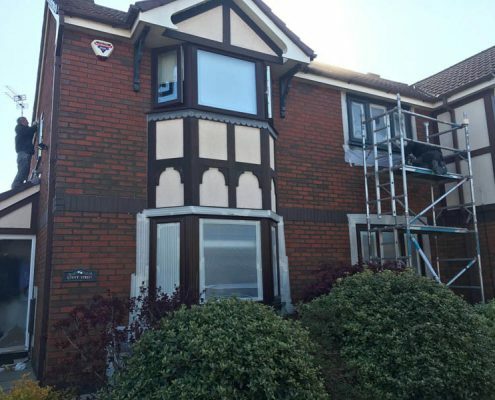 Respraying your existing uPVC windows and doors saves you time, mess and a lot of money! 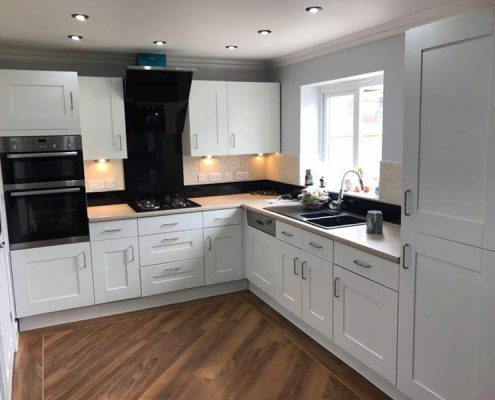 As opposed to brush painting, you get that flawless factory finish and with any RAL colour of your choice, you can personalise the look of your property. 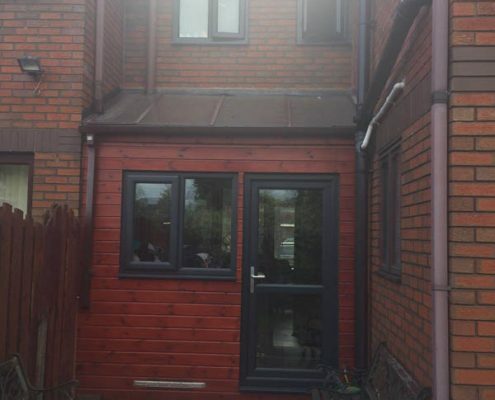 Fancy a change of colour? 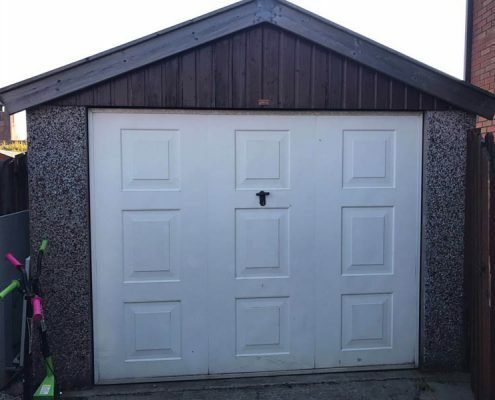 Or want to match new? 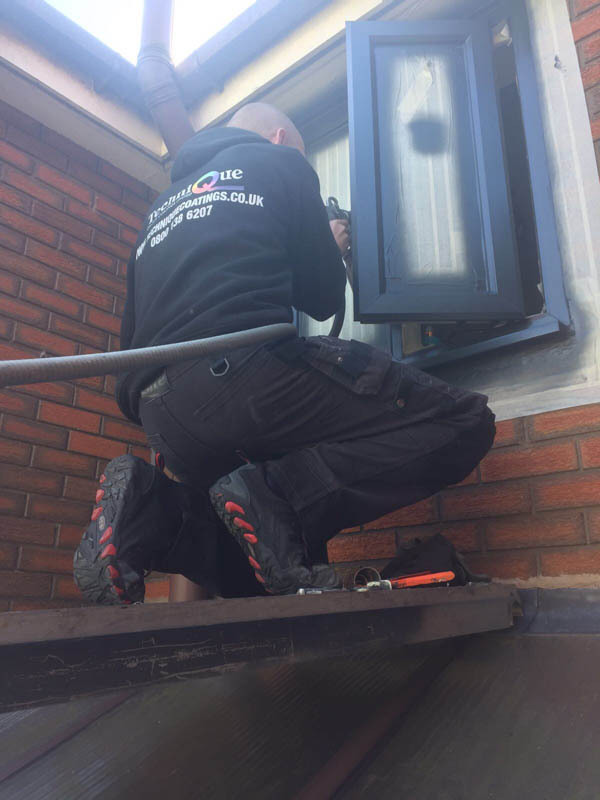 There’s no job too big or small for our team. 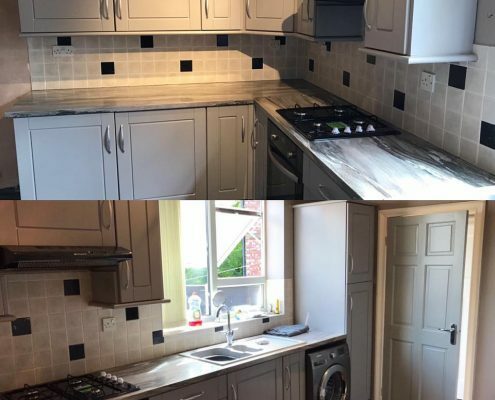 Our customer, Helen from Heaton Mersey, wanted her existing kitchen resprayed. 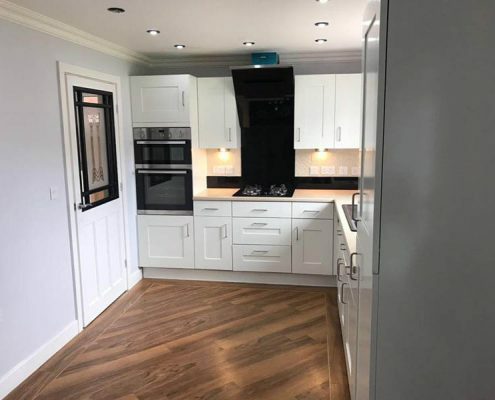 Bored of her existing beech units and mahogany ceiling – she wanted to create a more modern look, but without the heavy price tag. 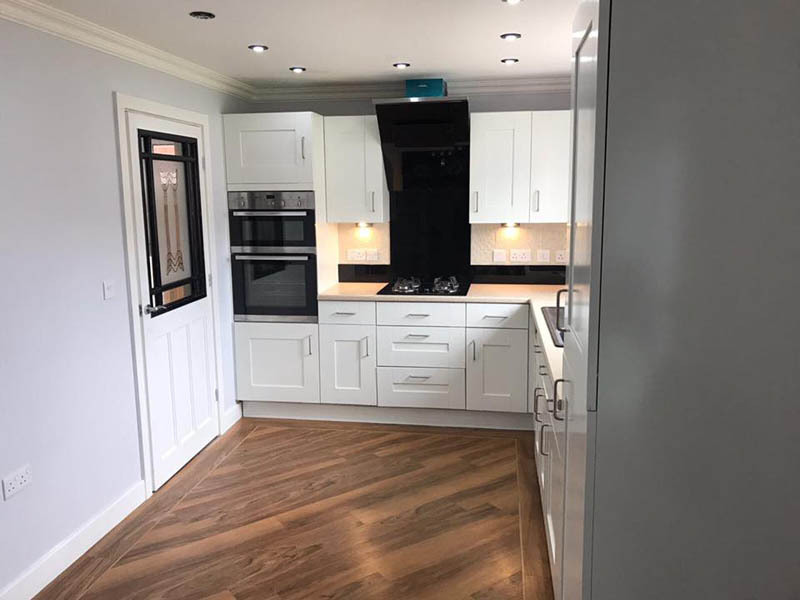 Working with Helen to understand what she envisioned her ‘new’ kitchen to look like, we agreed on shades of grey do create a sleek, modern theme. 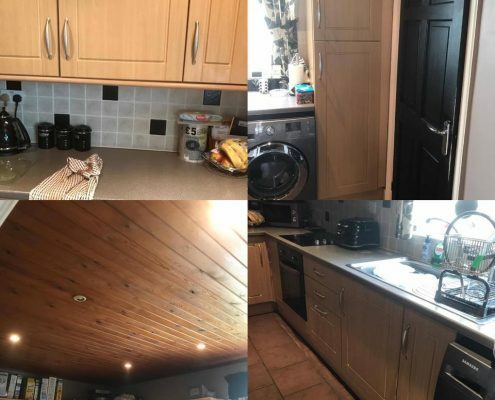 We wanted to brighten Helen’s kitchen up and bring it back to life! 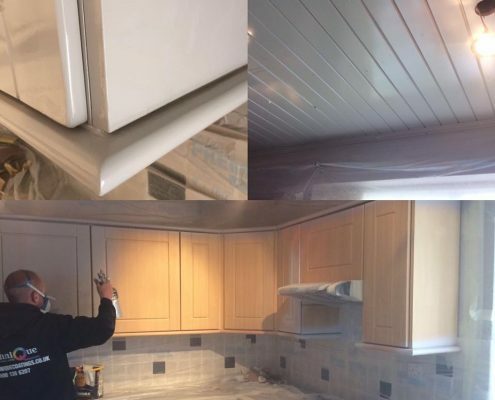 Using RAL 7036 Platinum Grey for the units and RAL 7038 Agate Grey for the ceiling – this kitchen looks just like new. 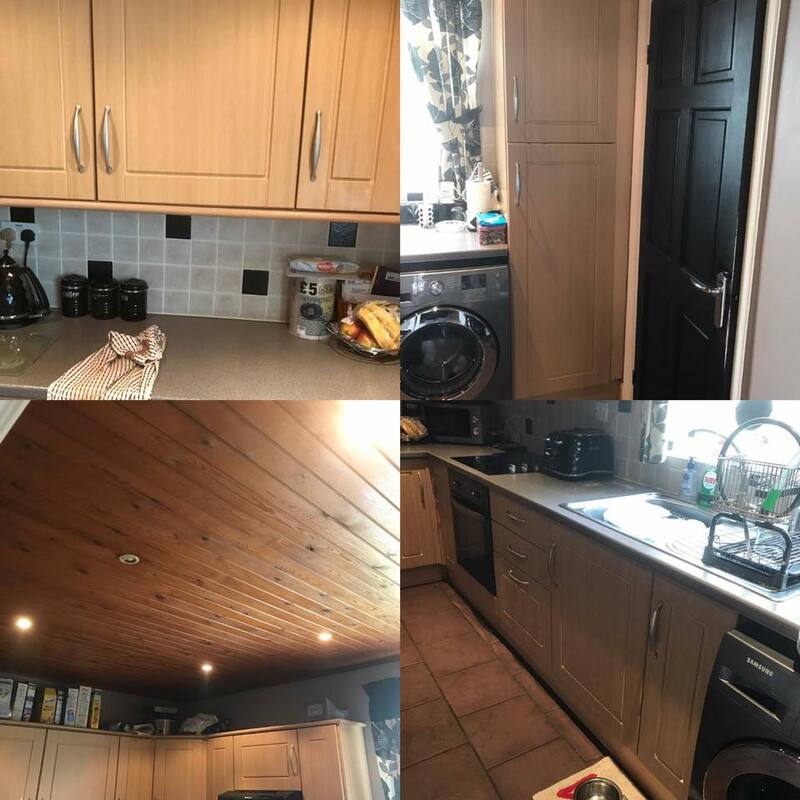 Our spray team even transformed the kitchen door to make sure it really fitted in! 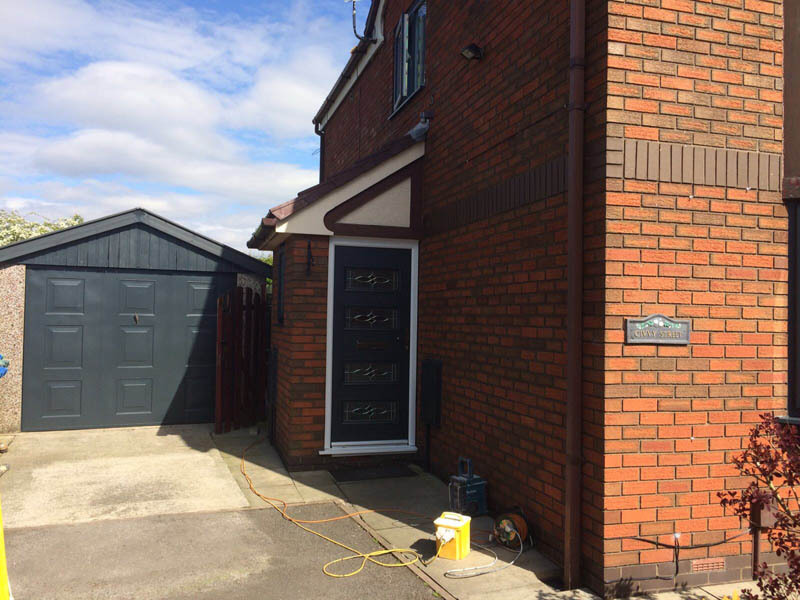 Our customer, Lauren, contacted us regarding a respray at her home in Royton, Greater Manchester. 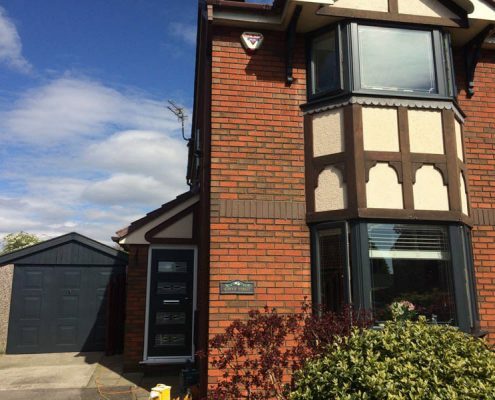 Recently, she had had her front door and surrounding windows and frames replaced. 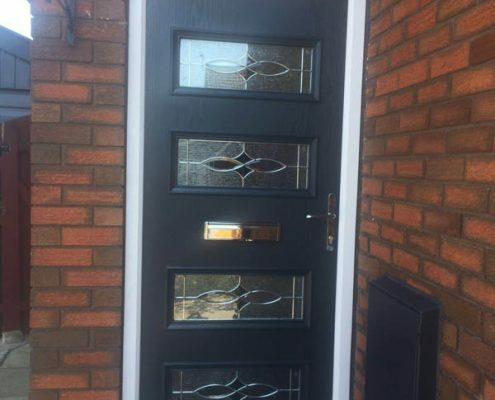 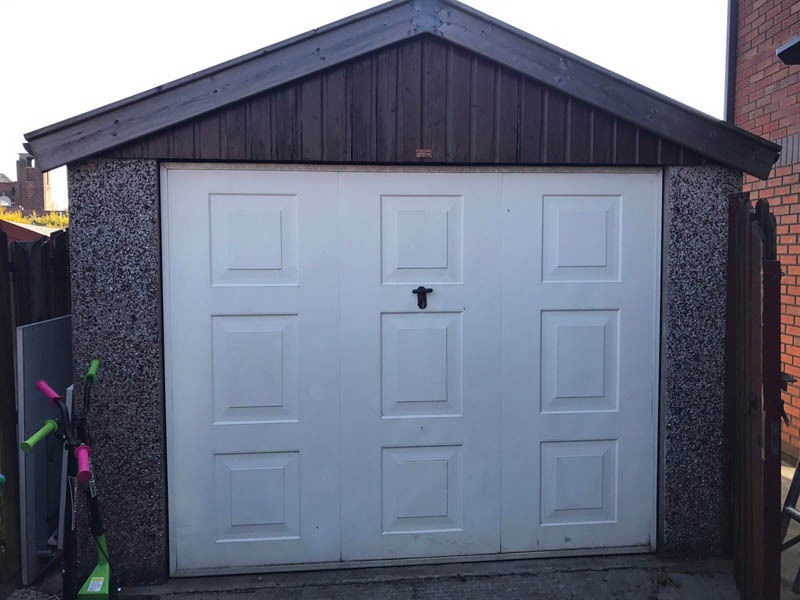 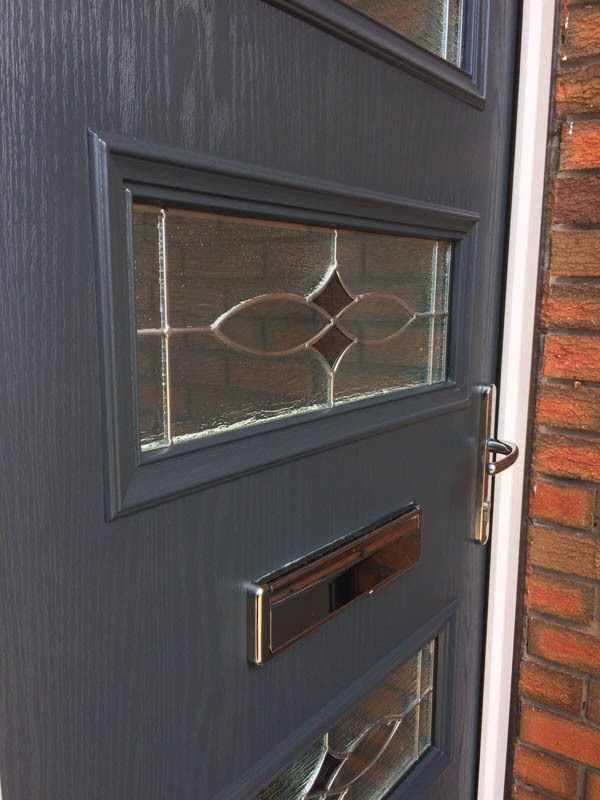 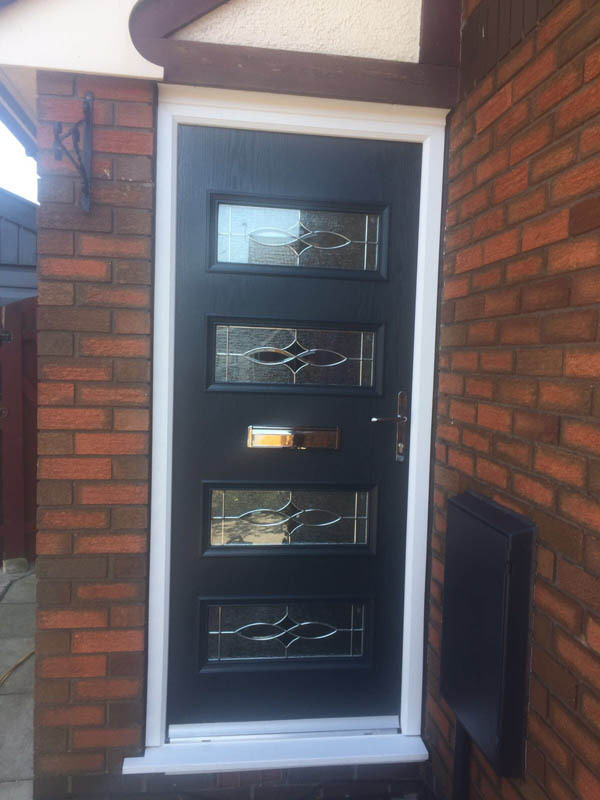 Lauren’s existing uPVC frames and door were RAL 8016 ‘ Mahogany Brown’, so when she had her existing replaced with new – she wanted to change the look of her home – to RAL 9010 ‘Pure White’ with a ‘Jet Black’ RAL 9005 front door. 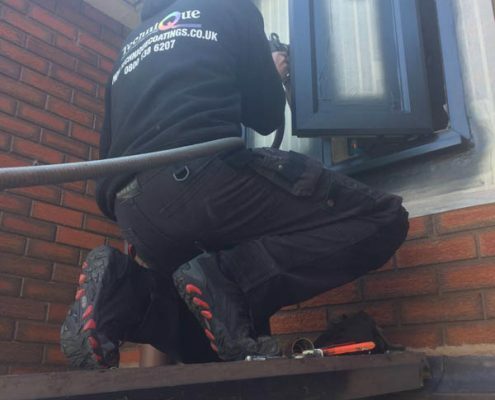 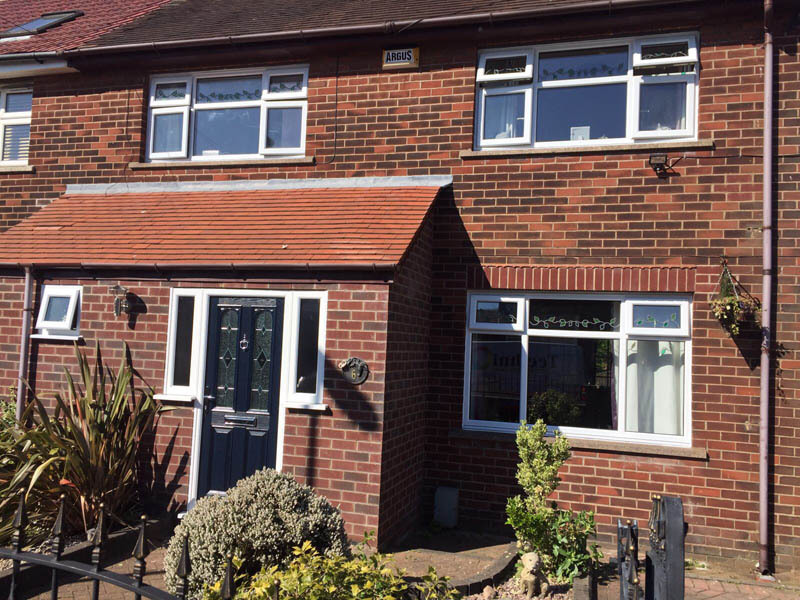 We were able to come on site to Lauren’s home and transform the look of her existing uPVC windows which she had not had replaced. 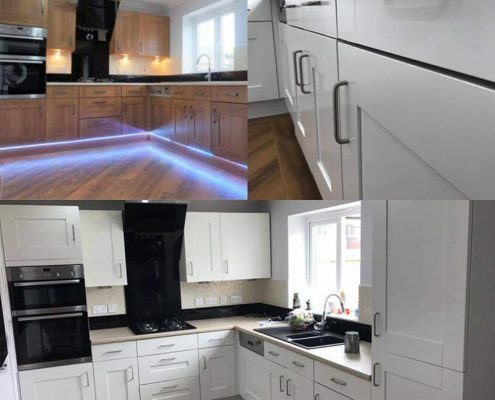 Using RAL 9010 ‘Pure White’, we were able to create a perfect match to the ones she had recently replaced. 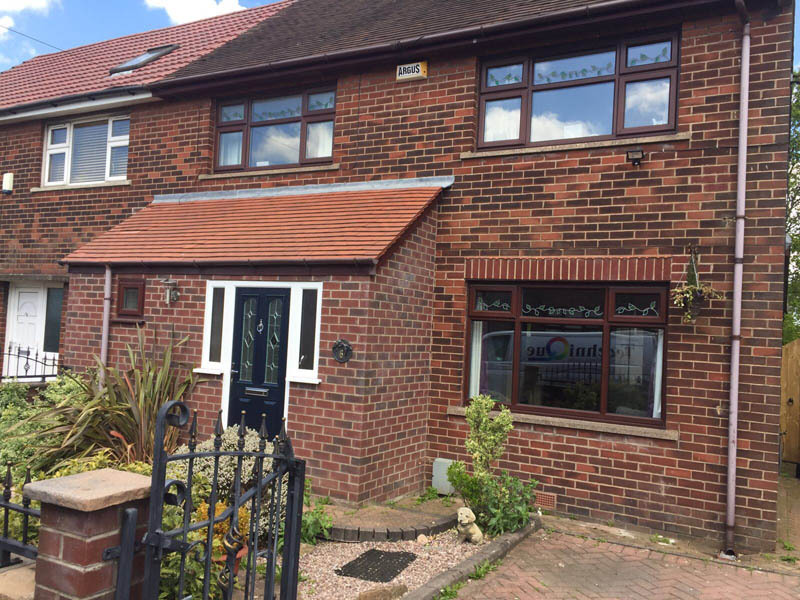 By having her windows resprayed, rather than replaced, thousands of pounds have been saved and Lauren is over the moon with the results! 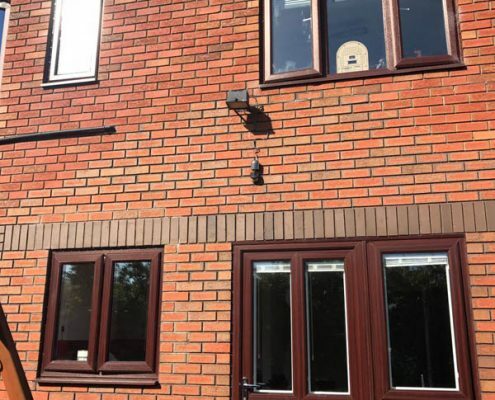 This home in Middleton had a complete uPVC spray transformation last week by our spray team. 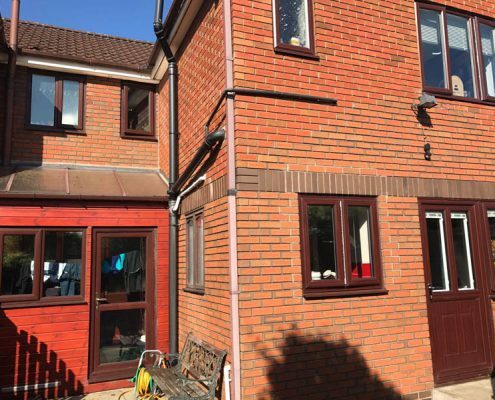 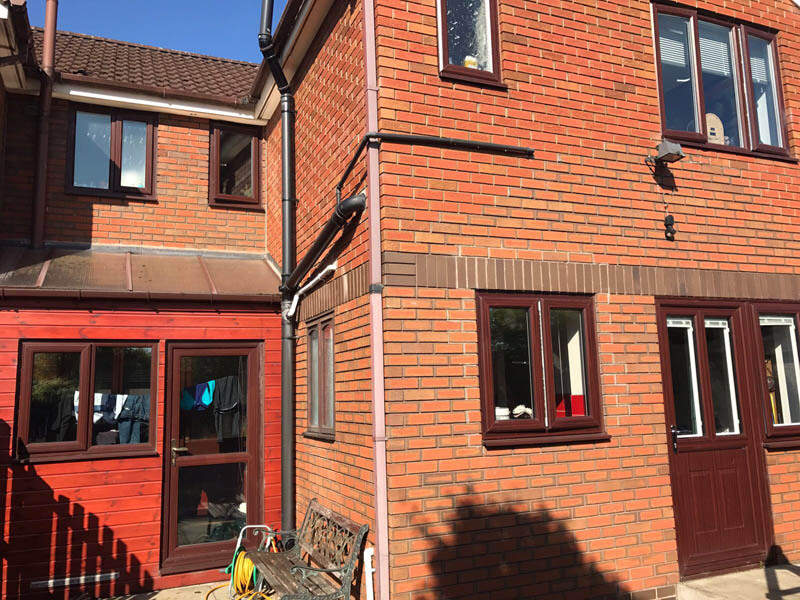 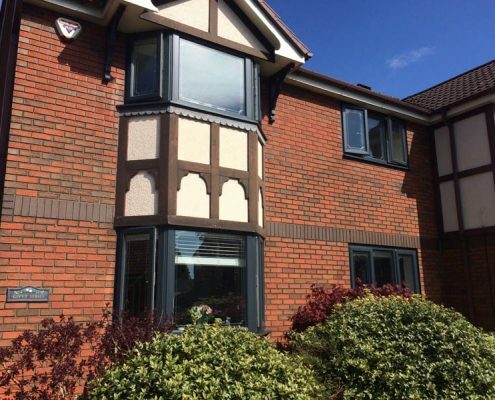 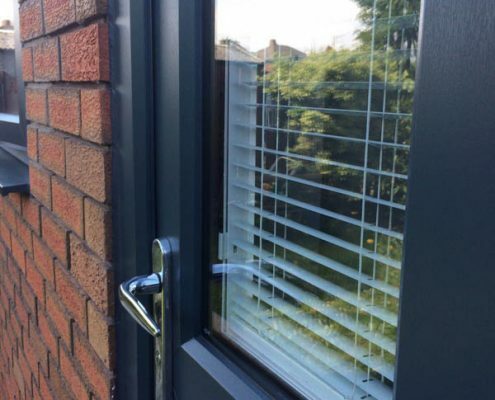 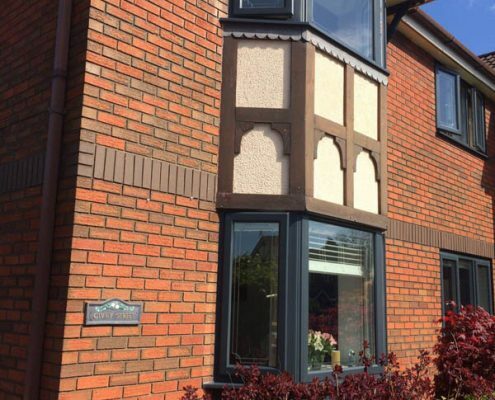 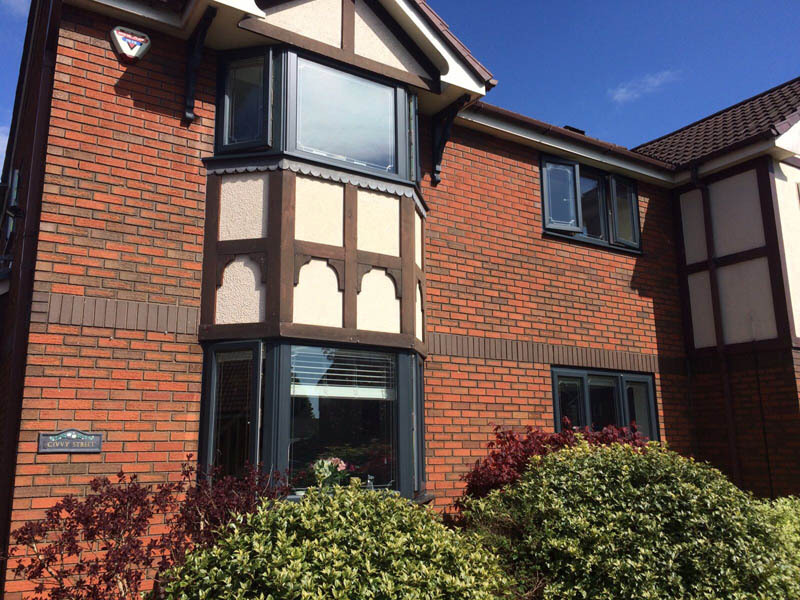 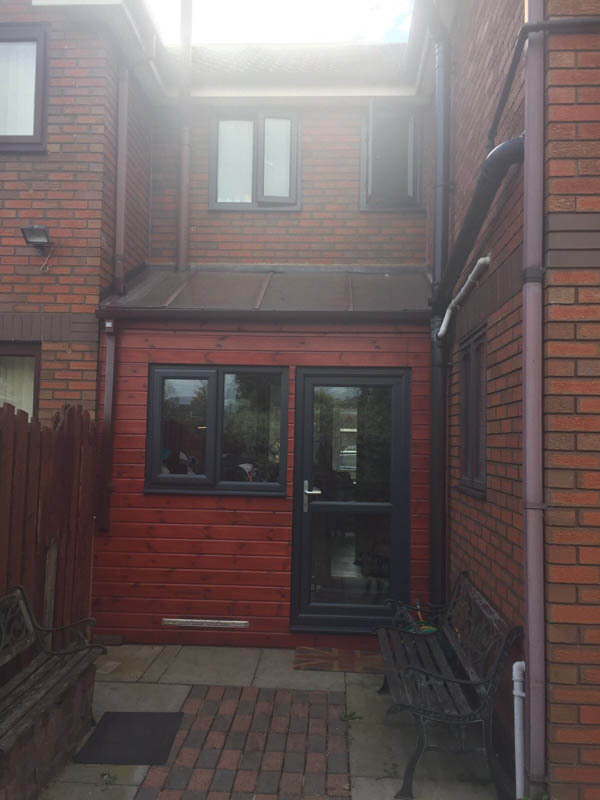 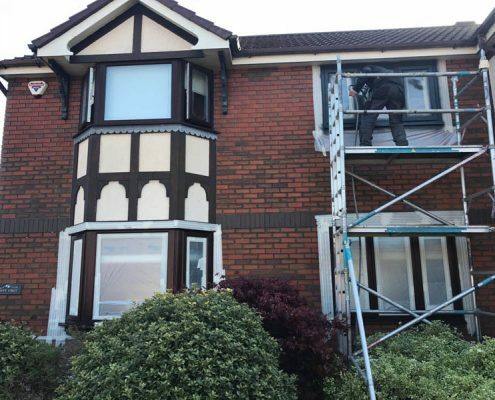 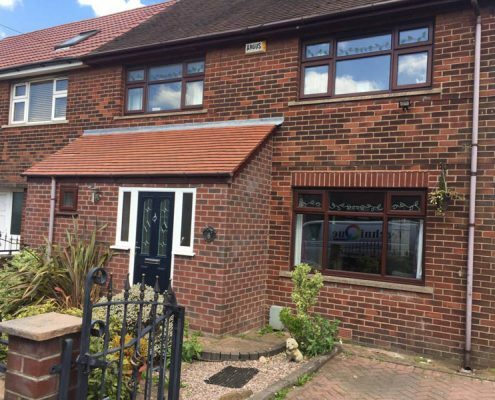 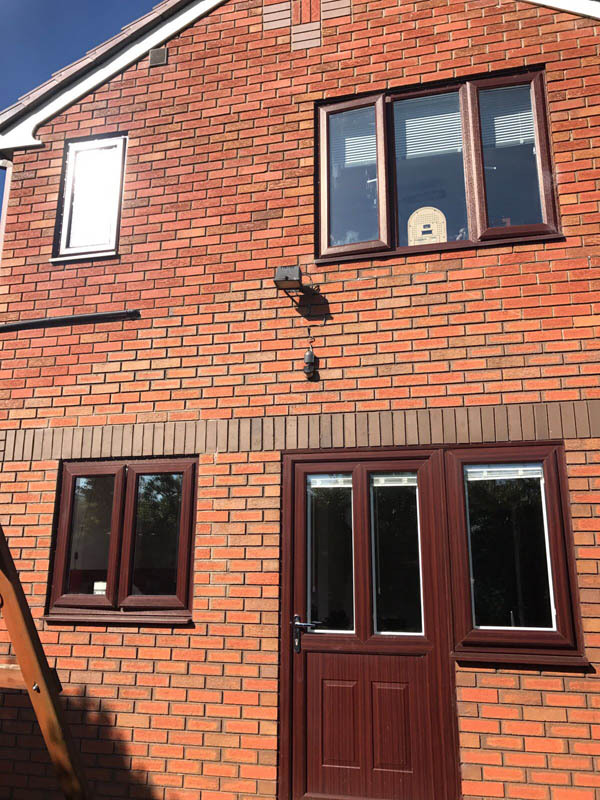 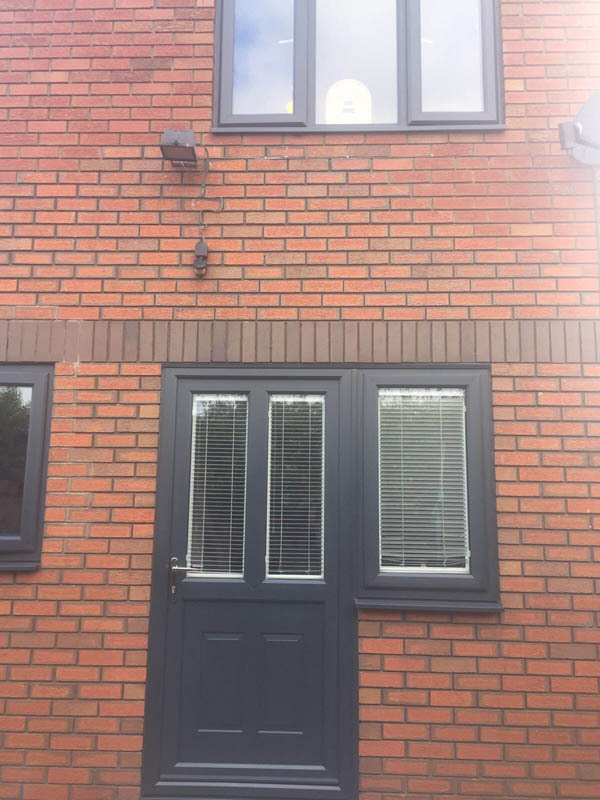 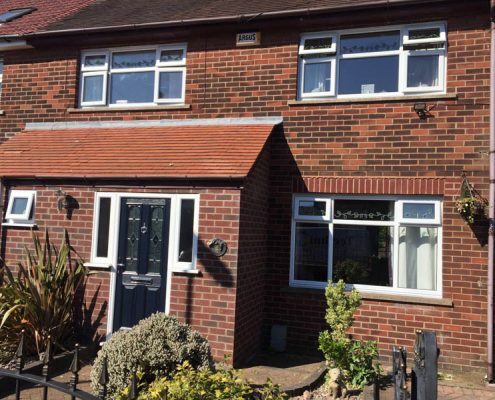 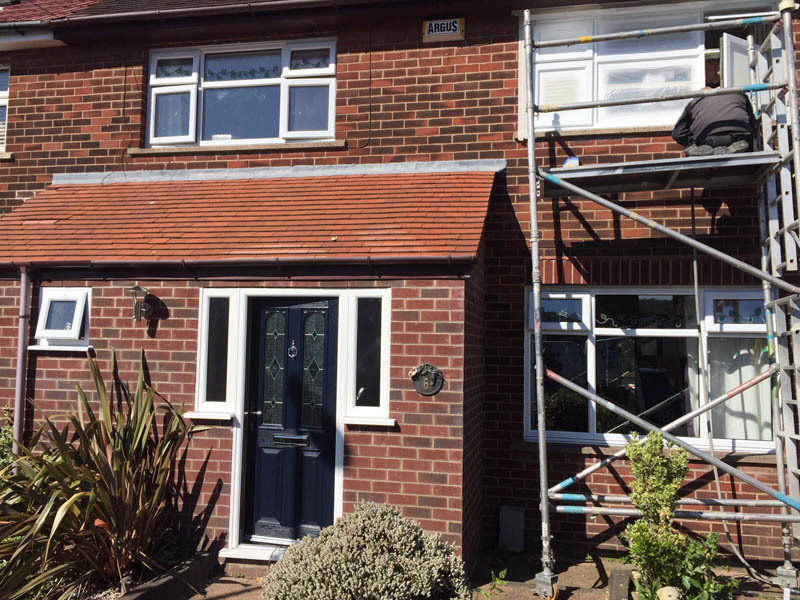 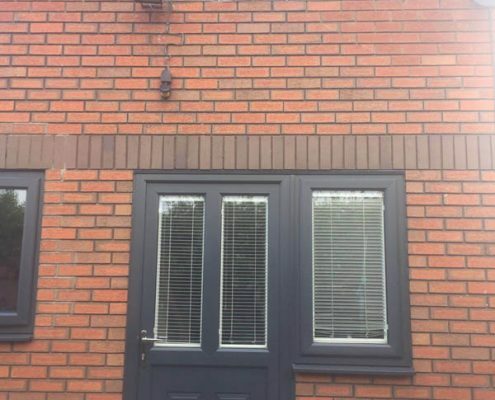 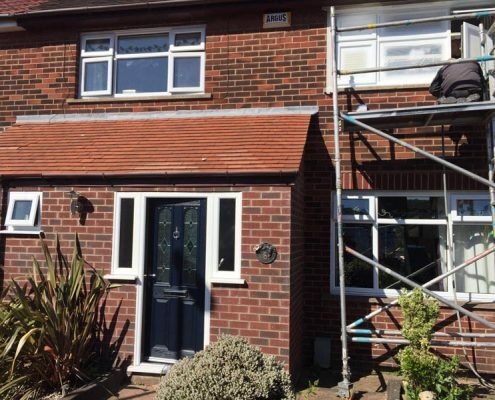 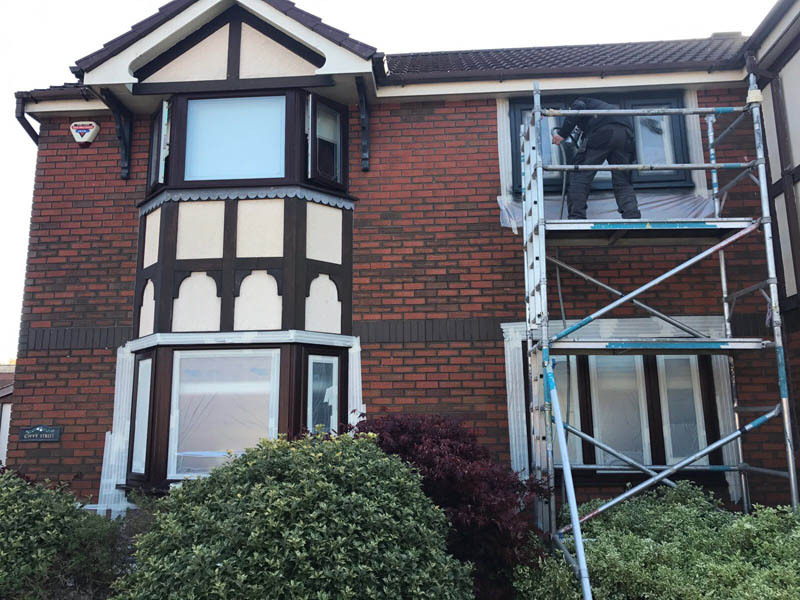 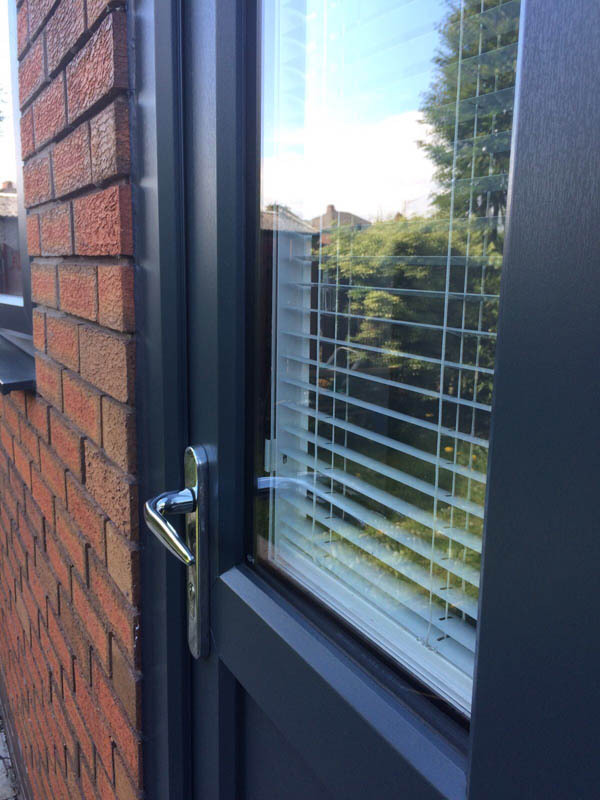 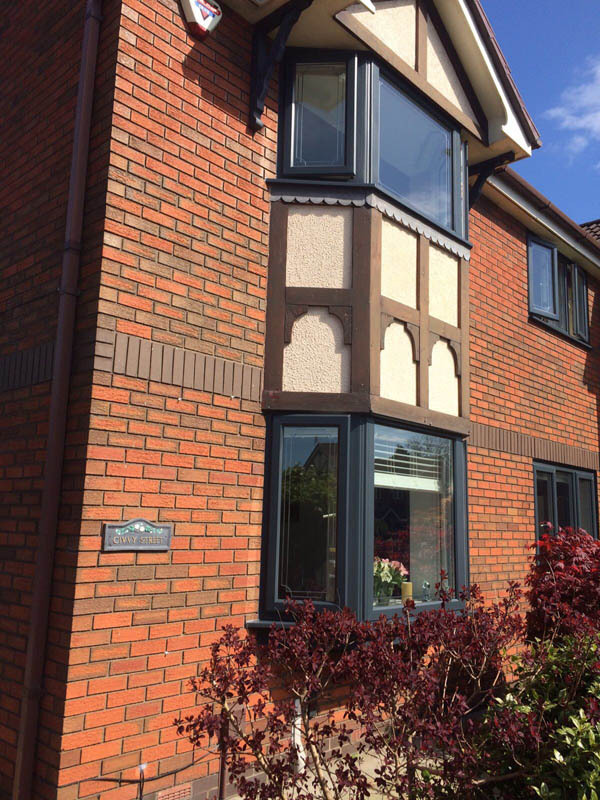 Homeowner Aron was looking to modernise the look of his property, going from RAL 8016 ‘ Mahogany Brown’ to RAL 7016 ‘Anthracite Grey’… and in just one day our team completely transformed his home – making his existing windows look just like new! 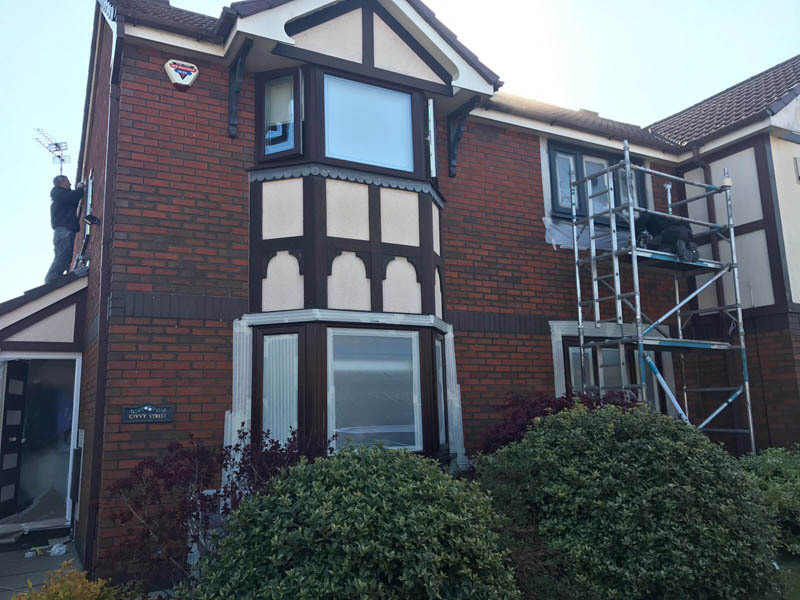 Still with brush paint works to be carried out externally, this property is looking amazing and will look even more fantastic upon completion! 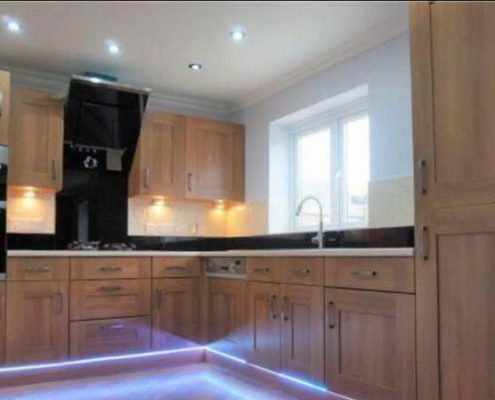 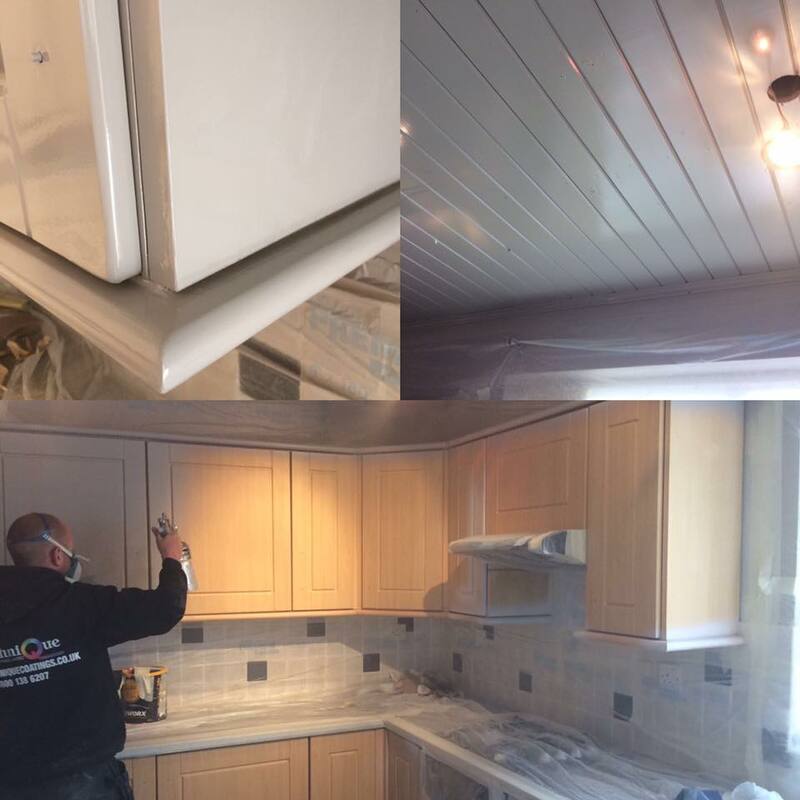 This week, one of our kitchen re-spray projects was carried out in Hyde, Manchester. 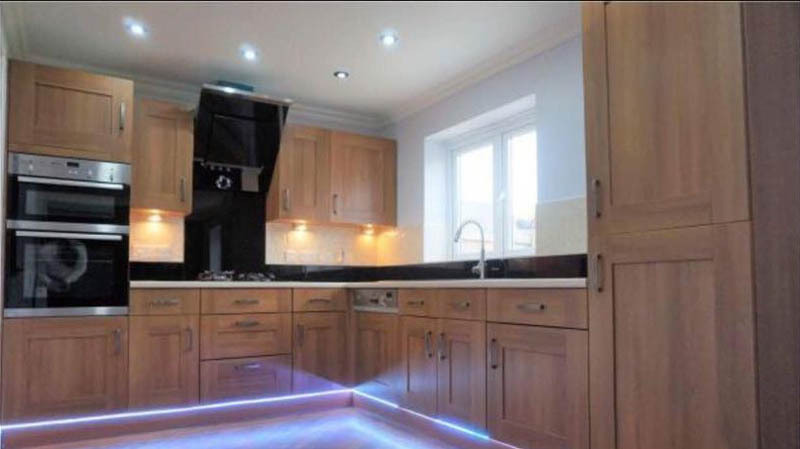 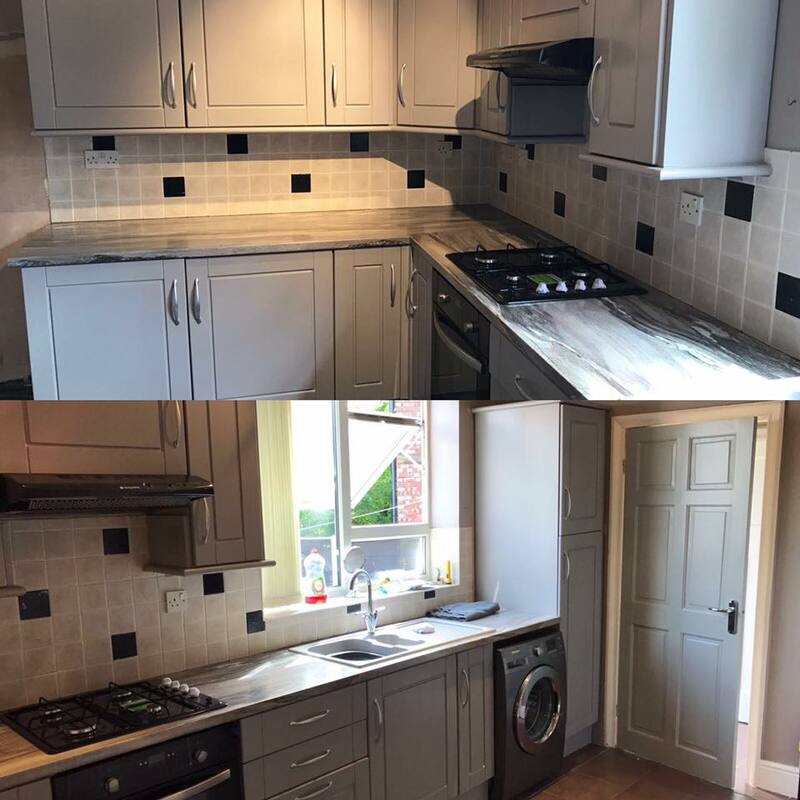 Our customer Carol, had just moved into her new home and was wanting to update and refresh the existing kitchen which was put in by the previous owners. 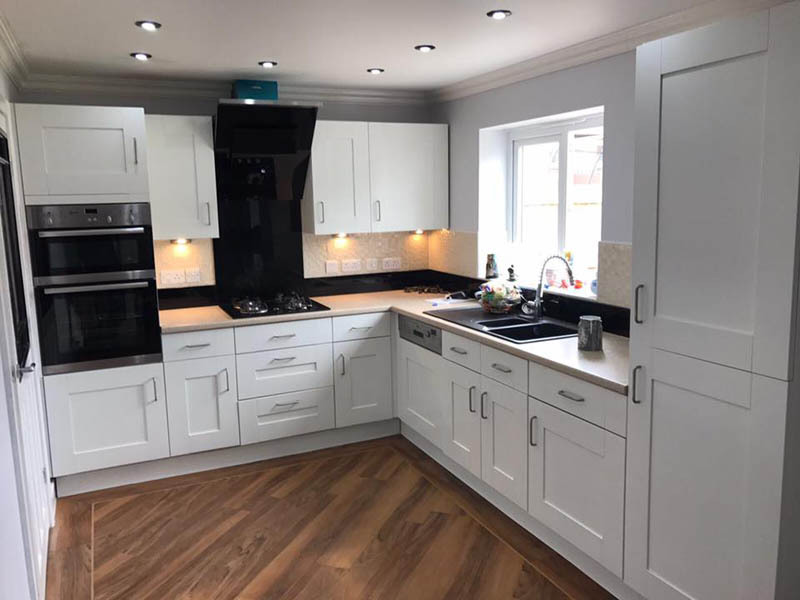 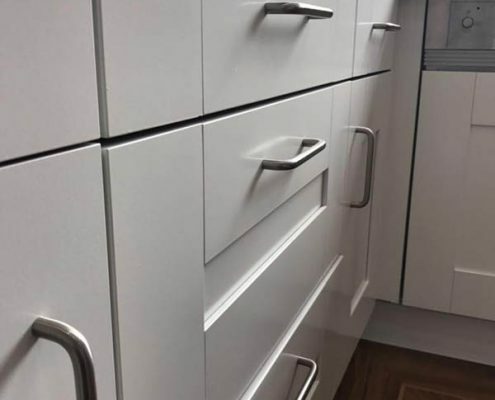 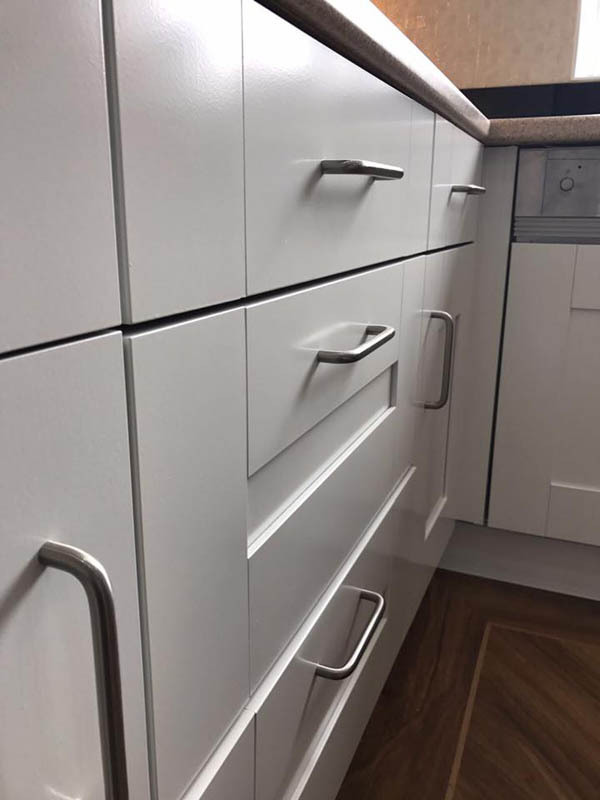 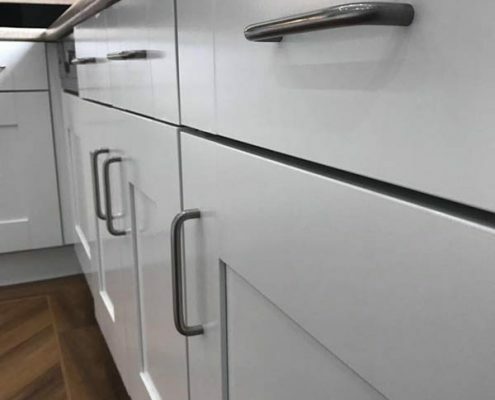 Carol chose to have the existing wooden kitchen re-sprayed in RAL 9010 Pure White with a satin finish – a colour which is becoming really popular with kitchen re-sprays! 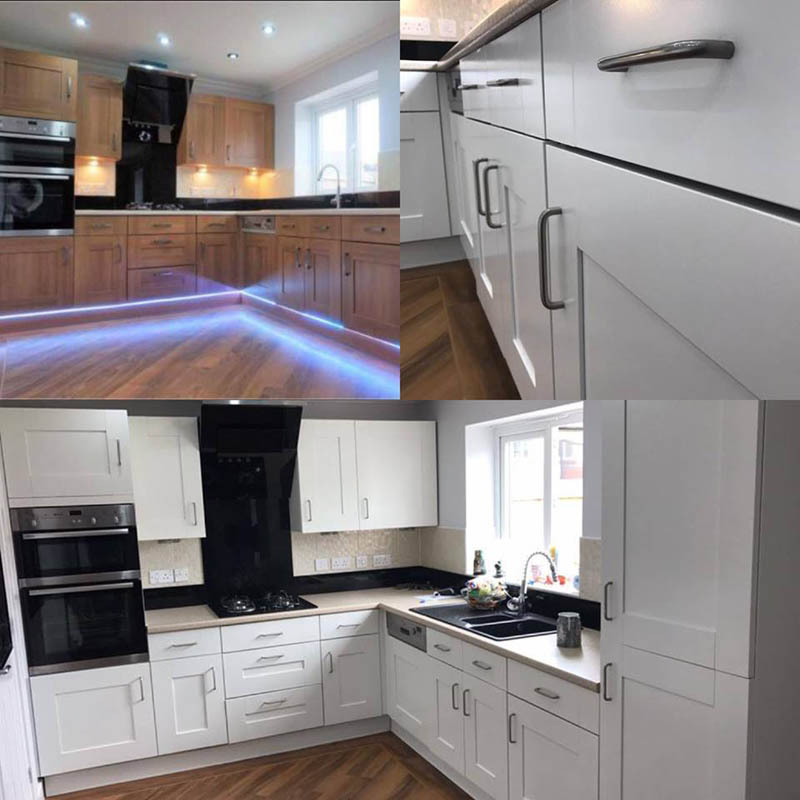 Not only has the white really brightened up the kitchen, but it has completely transformed and modernised the whole aesthetic. 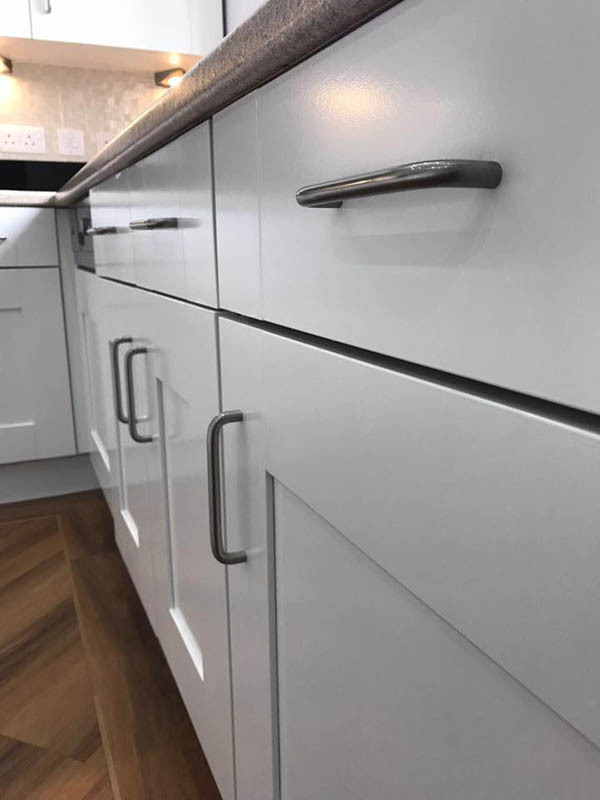 With re-spraying, you get that flawless factory finish, making it look just like new, but without the heavy price tag. 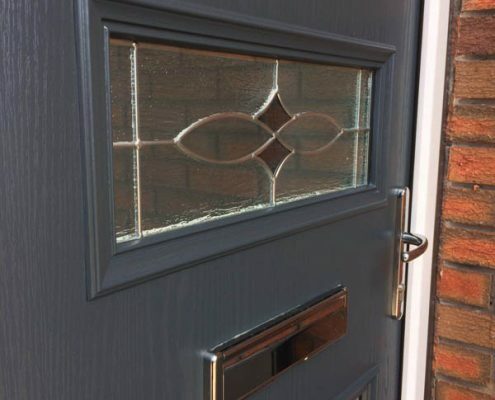 Get in touch today and head over to our ‘Contact Us’ page where we can give you your free no-obligation quote.